Good morning. It gives me great pleasure to attend the road show of the second China International Import Expo (CIIE) in Sweden. 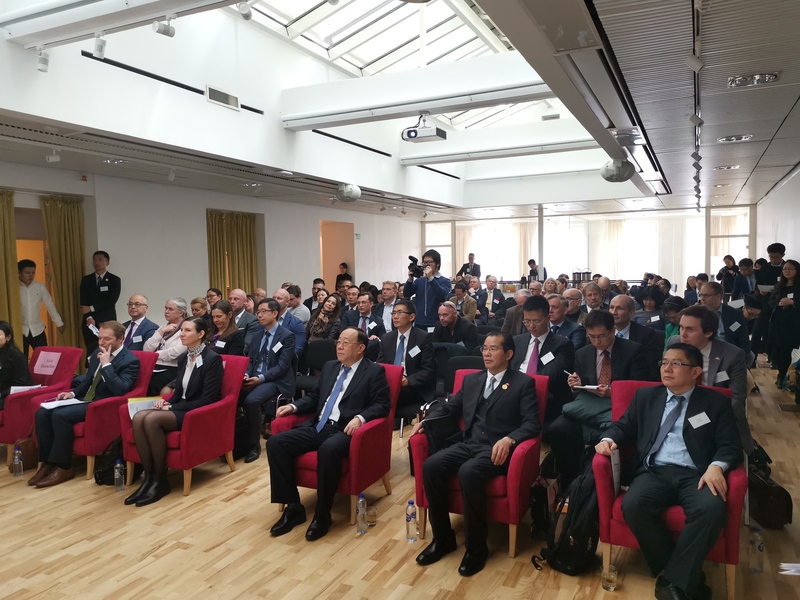 On behalf of the Chinese Embassy in Sweden, I'd like to extend warm welcome to the delegation led by Vice Minister Mr. Wang Bingnan and extend my heartfelt thanks to you, representatives of the business community in Sweden at today's road show. As a Chinese saying goes, "It is always a pleasure to greet a friend from afar." My pleasure is two folds. 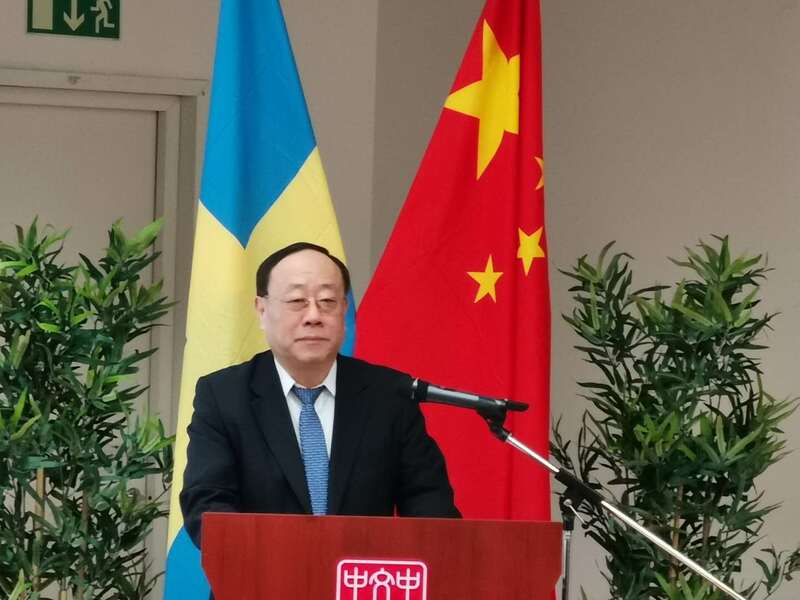 First, at a time when my colleagues at the Embassy and I are working actively with Swedish friends to expand economic and trade cooperation, promote greater exchanges between our business communities, and make a bigger cake of China-Sweden business cooperation, the arrival of the delegation led by Vice Minister Wang Bingnan gives us great support, and will undoubtedly boost our economic and trade cooperation. Second, this visit will provide Swedish companies with more opportunities to participate in the CIIE. Last year, Swedish Minister for Infrastructure Thomas Eneroth led a large delegation of CEOs and government officials to the first CIIE, which generated tangible cooperation outcomes. But I also heard that unfortunately because some Swedish companies did not apply early enough, they were not able to get a booth in the Expo. 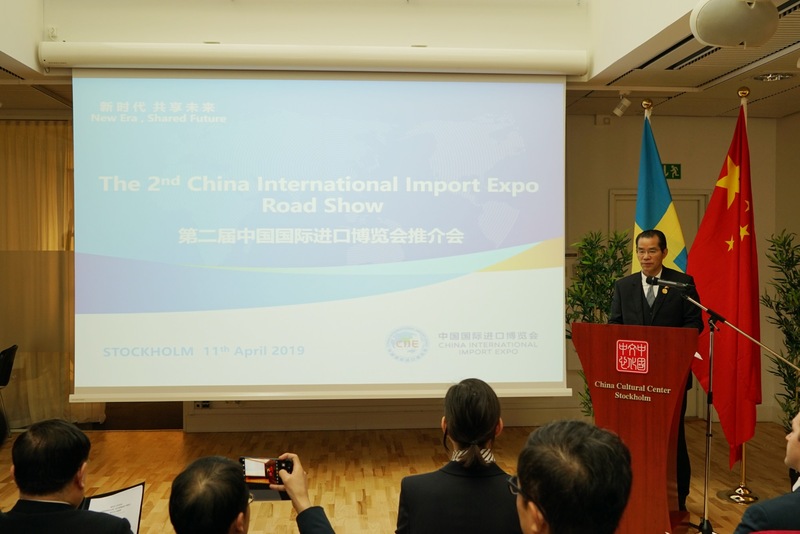 This year, the selection of Sweden as a stop for CIIE road show in Europe by China's Ministry of Commerce fully shows that the Chinese Government attaches great importance to expanding imports of Swedish high-quality products. Though Sweden has kept a trade surplus with China for two consecutive years, we are still ready to buy more from Sweden. We hope that Swedish companies will seize the opportunity, apply promptly to participate in the second CIIE to be held in the first half of November, expand your market share in China and share the dividends of China's reform, opening up and economic growth through the platform of CIIE. In conclusion, I'd like to wish the road show every success!